Choose the right janitorial service for you. Deciding on a janitorial service in Portland isn’t a choice you make lightly. The right janitorial company can improve the appearance and cleanliness of any environment. They know best practices by heart and make sure every area is properly sanitized. You want a dedicated company that uses high-quality commercial grade cleaners. The janitor you choose matters. That’s why smart business owners call on First Choice Janitorial Services. Our janitorial services are customizable. We'll work with your business and budget to provide the deep clean you need. A clean environment has been proven to improve worker productivity and reduce sick days. Call us now to get started . Keep your carpets spotless. 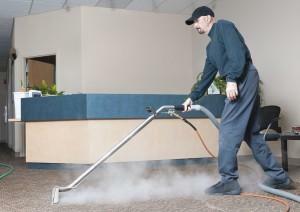 – Our janitorial staff performs full carpet cleaning. We use the latest in deep clean technology. Our extraction system gets your carpeting clean in less time so that we can do more. Window cleaning keeps you safe. – Whether it’s a business or a house, multiple windows are difficult to clean. Tall windows require special equipment and cleaning can even be dangerous. Our professional window cleaning removes the stress and leaves you with spotless windows. Upholstery cleaning protects your furniture. – Before you ever consider buying new furniture or reupholstering, see what our upholstery cleaning can do for you. Stain removal, allergen removal, and a fresh scent are just some of the benefits an upholstery cleaning can bring to your ailing furnishings. Keep employees healthy with regular kitchen cleaning. – Professional janitorial service provides a kitchen cleaning, unlike anything you’ve experienced before. We clean your kitchen from top to bottom, getting every last nook and cranny. We even clean inside your drawers for a long lasting, deeply cleaned kitchen. Green cleaning delivers strength in an environmentally friendly package. – Our professional janitors use green products. This isn’t just better for Portland’s environment, it’s better for you. Green products are less harsh while still providing the same deep clean you expect from First Choice. 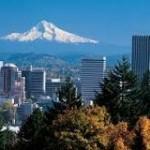 Contact us today for janitorial service scheduling in Portland. For friendly, efficient, and thorough janitorial services in Portland, call (503) 406-9222 or Contact First Choice today. Our cleaning professionals provide you with the professional environment you’ve been dreaming of.